Pesach, the festival of matzos and the season of our freedom, will occur later this month. While most are busy trying to clean their homes and buy new clothing, matzah, and food for the holiday, there are those less fortunate who experience stress and anxiety at the mere thought of Pesach wondering how will they come up with the money required for this very expensive holiday. The JCCMP’s Pesach initiative helps make a difference to the 200-plus families who share this concern and allows them to enjoy and feel the true spiritual freedom of this Yom Tov. On Sunday, April 7, volunteers will pack special Pesach packages at Merkaz Yisroel, Marine Park Jewish Center located at 3311 Avenue S. They will prepare cases of food, matzah, grape juice, and chicken, which will then be delivered to those in need. In addition to these food staples, gift cards will also be given out to help defray the Yom Tov expenses. If you can help pack food from 2 P.M.to 4 P.M., or if you can help deliver the packages between 4 and 6 P.M., please contact Shea at (718) 407-1932 or Shea@jccmp.org. For more details, please email menucha@jccmp.org. The cost of this year’s Pesach project is $100,000. For the zechus of supporting this worthy project, please visit https://www.jccmp.org/donate/ and type “Pesach” in the comments section. Hakhel organized an unforgettable communal tefillah and kinnus led by Rav Yitzchok Koledetsky, son-in-law of Maran Rav Chaim Kanievsky, to storm the heavens on behalf of the singles in our community at the Agudas Yisroel Bais Binyomin. In addition to the powerful words of encouragement from Rav Koledetsky, Rav Moshe Tuvia Lieff, mora d’asra of the host shul, delivered divrei pesicha. Following the kinnus, Rav Koledetsky met with members of the community for chizuk and brachos. Many thousands of American Rabbanim and distinguished baalei batim were inspired by their years of learning in the famed Mir Yeshiva in Yerushalayim. Marking the 202nd anniversary of the yeshivah, a special dinner will be celebrated at the Bell Works in Holmdel, New Jersey on April 7. Mr. Jordan Stone will be the guest of honor. Others honorees include Rabbi and Rebbetzin Carlebach (hakoras hatov tribute); Mr. and Mrs. Meilich Rubin (kesser shem tov award); Mr. and Mrs. Mendy Horowicz (Rav Nosson Tzvi Finkel memorial award); Mr. and Mrs. Binyomin Greenstein (alumnus of the year); and Mr. and Mrs. Yakov Young. The Rosh Yeshivah, board and entire yeshivah and Mesivta Torah Temimah family were delighted to inform the community of two major appointments. Rabbi Eliyahu Kaufman will become the menahel of the elementary school division, and Rabbi Armo Kuessous will joins the faculty of the mesivta division as general studies principal. Agudath Israel of America recently announced the appointment of Rabbi Abba Cohen to the post of vice president for government affairs. His appointment follows nearly three decades of service as Agudath Israel’s Washington director and counsel for vice president of federal affairs. 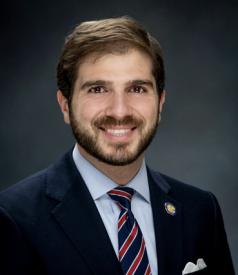 Rabbi Cohen has worked with congress and administrations in crafting and promoting laws and regulations to enhance the religious rights of individuals and institutions in the Jewish community and strengthen its faith-based schools and social programs. 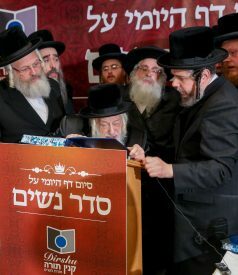 Shulem Lemmer, the world-famous chassidic chazzan who recently signed a major record deal, joined Kingsway Jewish Center for Shabbos Shekolim, Parashas Vayikra. Every seat in the shul was filled as Shulem showcased his unique cantorial skills with powerful and harmonious tefillah. The special Kingsway Shabbos was capped off by Shulem’s melodious havdalah. The JCC of Marine Park provides free legal services, consultations, and representation to qualified clients in the following areas:	immigration, permanent residence, and other citizenship issues; custody, divorce, and other family law issues, cases of domestic violence; elder law (wills, health care proxy, etc. ); housing issues (Section 8, evictions, arrears, etc. ); public assistance, food stamps, Medicaid, Social Security, disability, and S.S.I. 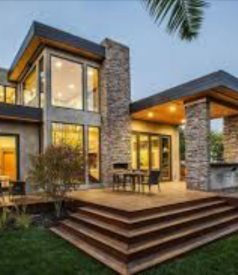 ; unemployment insurance benefits; NYS Rap for Medicaid recipients with an excess in resources; financial issues such as bankruptcy, indebtedness and credit counseling. For free legal assistance, please contact the legal services coordinator at 718-407-1832. The Securing Communities Against Hate Crimes Grant Program was introduced by New York Governor Andrew Cuomo and received its first funding allotment of $25 million in 2017. Its purpose is to boost safety and security at New York’s nonpublic schools, day care centers, and cultural museums at heightened risk of hate crime attacks. The program is designed to ensure the safety of all New Yorkers by allowing eligible institutions to apply for grants which fund safety and security upgrades. 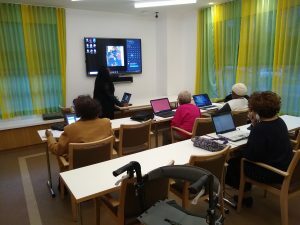 Free computer classes given by JCCMP at Ohel, courtesy of Councilmen Allan Maisel and Chaim Deutsch. 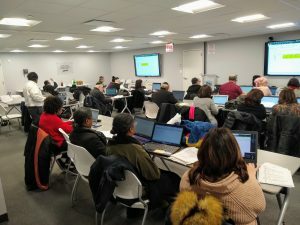 Free computer courses presented by JCCMP in Harlem, sponsored by Councilman Mark Levine. 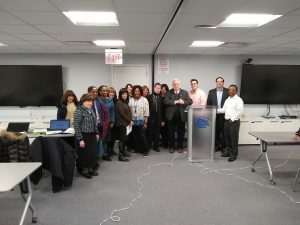 JCCMP Met Council mission to Albany. 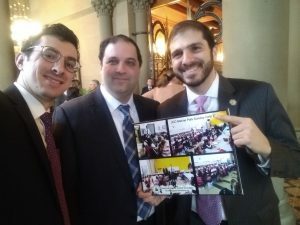 Pictured are: Avi Krakower, assistance executive director at JCCMP, Senator Andrew Gounardes, and Shea Rubenstein.